Help FSU Rugby reduce player costs and travel fees by donating to our program. 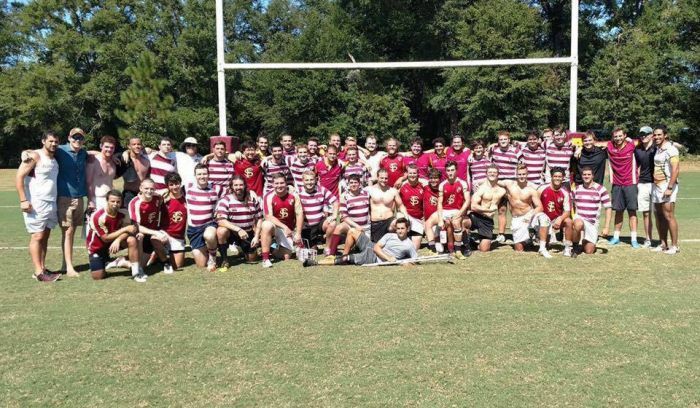 The Florida State University Rugby Club is a sports club based in Tallahassee, Florida, and is made up entirely of FSU students. Men's rugby is not considered a varsity sport here in the United States, and as a result, our expenses are covered mostly through player fees, alumni support, donations and sponsorships. Our coaches and support staff are volunteers. We play colleges and universities around the southeastern United States as scheduled by our various governing bodies which include: USA Rugby, USA Rugby South and the Florida Rugby Union. With the sport growing as fast as it is in Florida's high schools, we strive to be the preeminent in-state destination for rugby players pursuing a college degree. We also welcome numerous international players who gain admission to FSU via standard academic admission processes. At this time we are not able to provide scholarships or financial support to rugby players, but we hope to in the future.